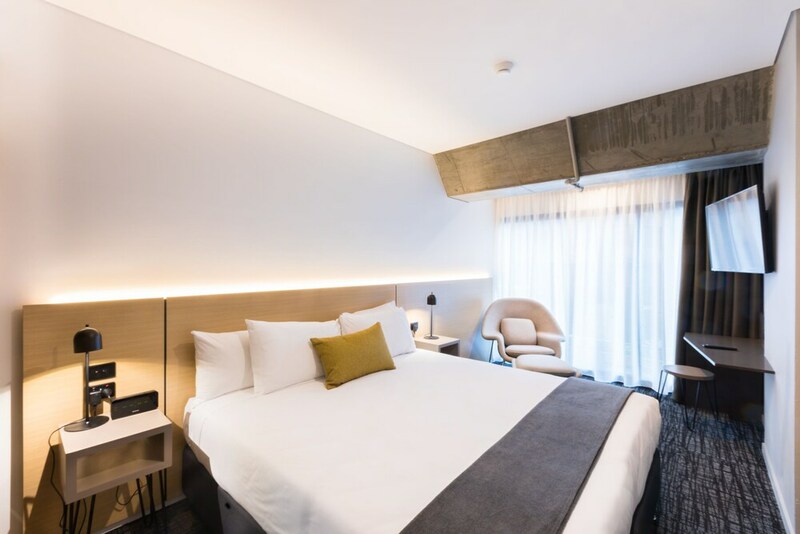 Located in Sydney Central Business District, this hotel is within a 5-minute walk of Castlereagh Street and Australian Museum. Hyde Park and Capitol Theatre are also within 10 minutes. Museum Station is only a 2-minute walk and Town Hall Station is 9 minutes. Along with a restaurant, this smoke-free hotel has a bar/lounge and a coffee shop/café. WiFi in public areas is free. Other amenities include a conference center, coffee/tea in a common area, and a meeting room. All 121 rooms offer free WiFi and LCD TVs with digital channels. The hotel offers a restaurant and a coffee shop/café. A bar/lounge is on site where guests can unwind with a drink. Wireless Internet access is complimentary. This Sydney hotel also offers tour/ticket assistance, a vending machine, and coffee/tea in a common area. Song Hotel Sydney is a smoke-free property. Song Kitchen - This restaurant specializes in French cuisine and serves breakfast, lunch, and dinner. Open select days. Start your morning with a cooked-to-order breakfast, available each day from 7 AM to 10 AM for a surcharge.